They work in hotel rooms, Airbnbs and secondhand RVs just over the state line, so that women can give birth on their own terms. All the lights were off in the used RV that night, and the blinds were closed to prevent anyone from seeing inside. Five people huddled in the small main room. Kate Petty, 34, lay on a bed that had been converted from a fold-down dinette table, underneath a large painting of a leopard. Her husband, Caleb, whose beard and long hair is the same auburn color as Kate’s, sat by her head and clutched her sweaty hand. She had been in labor for more than 24 hours and she was breathless, exhausted. 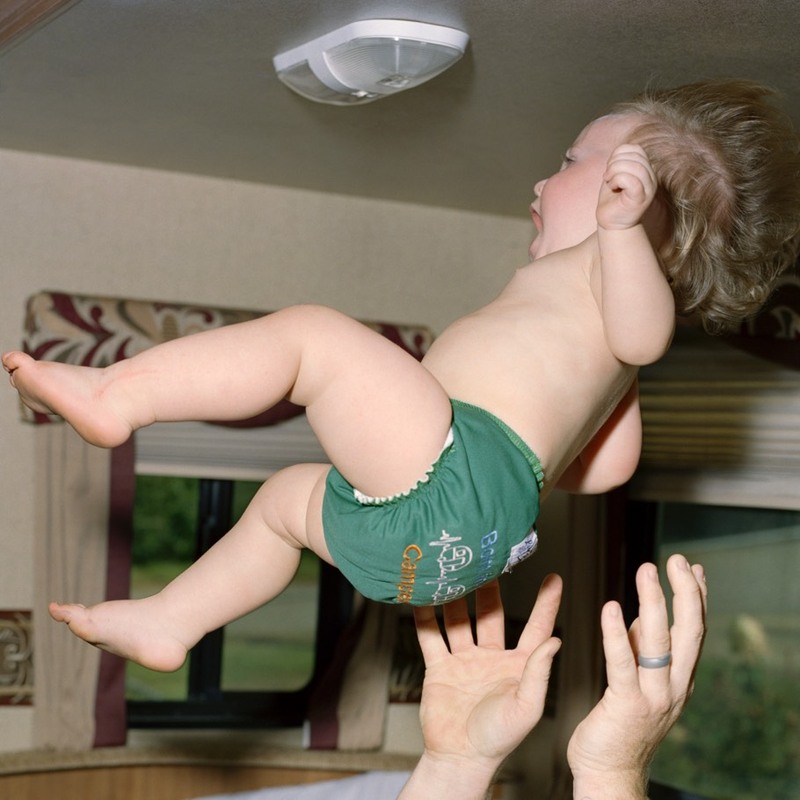 The only light in the RV came from a flashlight held by a woman standing on Kate’s left. Another woman crouched between her splayed legs, hands outstretched. “Keep going, honey. You got it,” said the woman with the flashlight. Kate groaned. Her baby’s head emerged into the quivering circle of light.